The Management Committee of the ELECTRA Integrated Research Programme is pleased to announce the fourth call for application for Research Exchanges has been extended up to July 31, 2016. 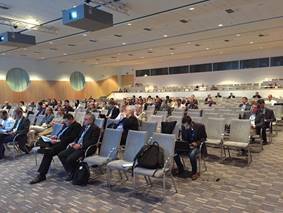 Nearly 50 delegates from the CIRED 2016 workshop participated in an interactive ELECTRA side event in Helsinki on 15th June 2016. The event started with an opening explanation of the Web of Cells concept and associated real time controls. The attendees then heard an explanation of the plans, use cases, and SGAM modelling developed for laboratory validation, and participated in an interactive online feedback session. The final session included a description of the control room visualisation and decision support needs of the future decentralised power systems, and was again supported by a feedback session. The results of the online feedback sessions will be collected and reported on, however there is an opportunity for another month to continue the debate and feedback here. Moreover all the presentations and the fact sheets which illustrate the use cases can be downloaded here. ELECTRA IRP and ERIGrid partners join forces in producing a common view "Towards Holistic Power Distribution System Validation and Testing –An Overview and Discussion of Different Possibilities" in the format of a paper that will be presented at CIGRE Session 2016 on 22-26 August in Paris, France. Previous and ongoing research activities have mainly focused on validating certain aspects of smart grids, but until now no integrated approach for analysing and evaluating complex configurations in a cyber-physical systems manner is available. The paper tackles this issue and addresses system validation approaches for smart grids. Addressed are also different approaches for different stages in design, development, and the rollout phase of smart grid solutions and components. Future research directions are also analysed in the paper. To strengthen further collaboration, ELECTRA IRP and ERIGrid will organise a joint session at the RTDS Technologies User's Group Meeting on 15-16 September in Glasgow, Scotland. Hosted by the University of Strathclyde, the meeting will take place in their state-of-the-art Technology and Innovation Centre and will feature a tour of the innovative Power Networks Demonstration Centre. 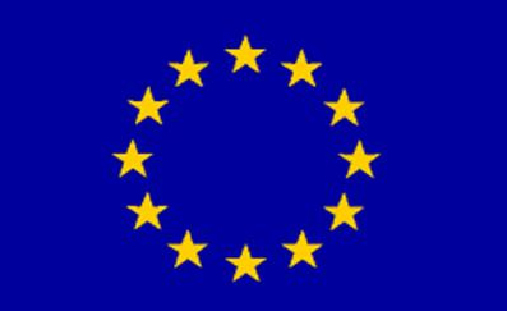 In the next months, ERIGrid will open the 1st Call for Transnational Access – a unique opportunity for researchers and industry involved in the development of smart grid concepts and components to use the infrastructure of Europe's top 18 research institutions from across 11 different countries. Stay tuned for detailed information on the ERIGrid website. The ELECTRA FP7 project would like to invite grid operators and energy professionals to join our session at CIRED in Helsinki, on 15th June 2016, 14:00 hrs (CET), for an interactive consultation on the Web of Cells concept and entering in a lively debate on the future grid structure. In order to facilitate the discussions and get our discussion materials prior to the event please register here! More information on the event agenda and the ELECTRA project you find in the attachment. Registration to CIRED and the whole CIRED programme can be found here. We are looking forward to welcoming you in Helsinki.